So why not start the weekend on a high note with an FC St. Pauli match. 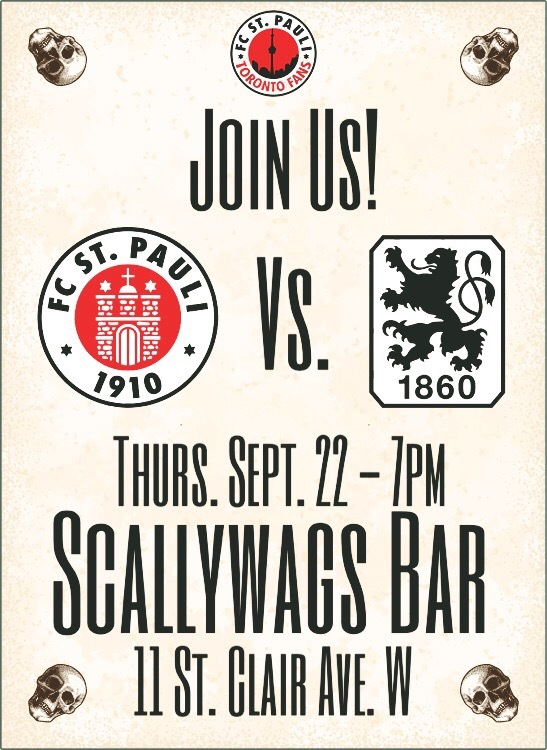 Join FCSP’s Toronto fan club as FCSP takes on TSV 1860 München in the pursuit of more points in Bundesliga 2. So come out to Scallywags at 7pm and watch the tape-delayed match.